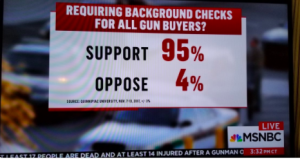 They have wrapped gun ownership up in the flag, rebranding the right to purchase a firearm as somehow on par with the right to life, liberty and the pursuit of happiness. The NRA and their allies have rooted their propaganda in the founding mythology of America, and the popular stereotypes of American culture. Wayne La Pierre, Dana Loesch and the others who came before them have successfully scared their acolytes into believing that America today is some kind of dystopian version of the old wild west, synergized with the imperial monarchial threats of the colonial period. Their side also has a huge advantage in the fact that their stated positions are simplistic and reductive- just say no to anything and everything. It’s much easier to stay engaged and active when your policy is summarized in just two letters. It’s a lot harder to be on the side that fights for actual reform. Everyone on the side of gun sense is activated now, with images of the S.W.A.T. team evacuating the children at Stonemason Douglas high school fresh in their minds. 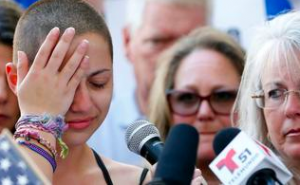 Will this momentum remain though- once the memories of cell phone videos where one hears the assault rifle firing in Parkland, Florida has dissipated? 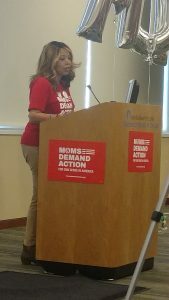 It appears so; at least according to what I have witnessed and experienced while reporting on Moms Demand Action for Gun Sense in America; currently the most powerful gun sense advocacy organization around. Moms Demand, composed entirely of unpaid volunteers, is under the Every Town for Gun Safety umbrella, a lobbyist group that runs counter to the NRA. Every Town members are paid for their work; funded partially by donations to Moms Demand. 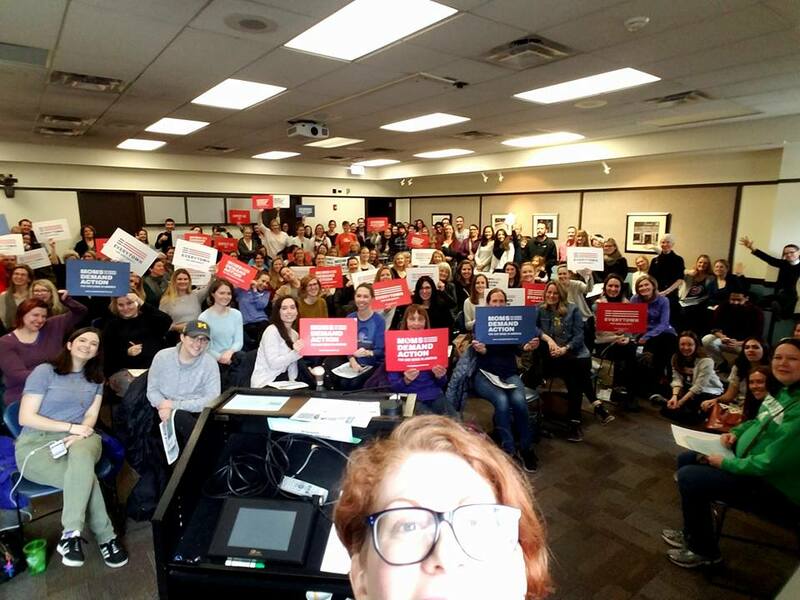 Meetings for the Lincoln Park/Lakeview chapter typically draw about 10-15 people, but this past Saturday they held a meeting at the Lincoln Park branch of the Chicago Public Library, which drew over 175! “There is an energy going on now that we have never seen,” said Brenna O’Brien Chicago Communications Lead for Mom’s Demand, in a conference room that was so packed dozens of people had to sit on the floor or stand against the wall. On a national level, 75,000 people signed up in the past week alone. Every town will soon be launching their own political candidate ratings, to counter the NRA rating system. Essentially, the idea is that it sounds inherently better to have an A rating from Every Town than it is to have an F rating from the NRA. “This is my issue, I care about everything else, but if I put all my energy in this, it can have a ripple effect,” she added. Attending meetings provides an edifying experience. They arm you with knowledge. 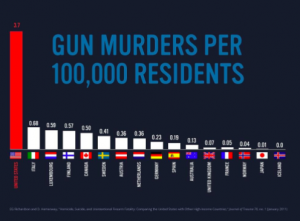 On Saturday I learned that 2/3 of American gun deaths are suicides, that firearms kill 93 people per day nationally, and that most of these are carried out with handguns, in domestic situations. Once you have the facts, it’s easy to counter the NRA lies and obfuscation/distraction tactics.